Many a time we delete files only to realize that we needed them. Sometimes file deletions are accidental, but worst case scenarios are when you format your hard drive or delete a partition without taking a backup. Since Windows doesn’t offer anything more the recycle bin, let’s check out iBeeSoft Data Recovery software. It enables you to recover deleted data from Windows computers. 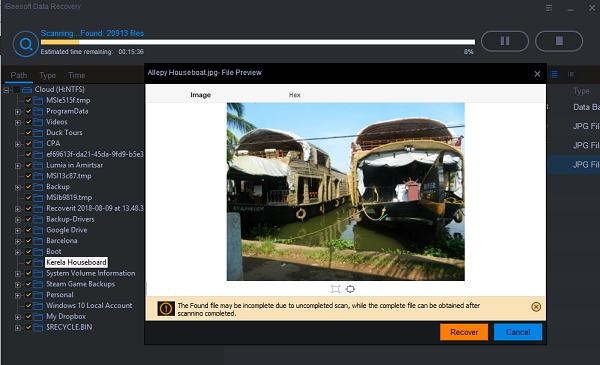 The data recovery software from iBeeSoft supports a lot of data types such as photo, documents, music, archives, videos and so on. Once you install the software and activate, it offers you to select the type of file you want to recover. Once you choose the file type(s), select the drive, and start the scan. The result part is interesting. It is sorted in three ways – Path, Type and Date. While path gets in handy if you recently deleted files and know the location, Date or time comes in handy when you had removed a file from a partition which has not been modified for a while. Type helps you correctly when it’s an audio or document or a video file. They come in various formats, and it’s easy to pinpoint if you know the type. Assuming you found the file you want to recover, select it, and if the data can be retrieved, you should get a preview on the right pane. 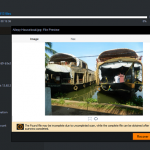 It works well for images and small size files, but for a big media file, you need to recover and check if it’s usable. You can right click on any files and select recover. You can then save it to an external drive or some other partition. The image above shows a list of pictures I have right now, and what I had sometimes back. I was able to recover a few of those files, and they were usable. To recover files in bulk, select as many you want, and then click on the big orange Recover button on top right. You will get a prompt to save the files. If you’re going to keep only a few based on name, you can use the search option to filter the data. 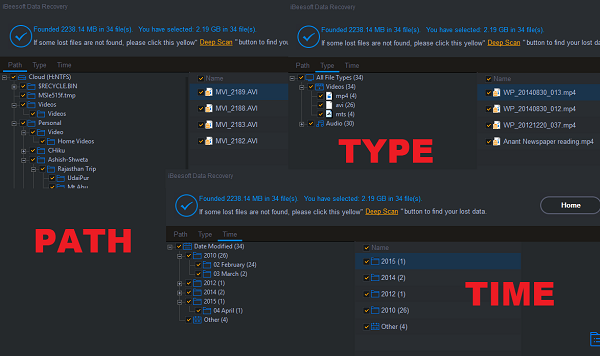 Then select the files, and hit the recover button. Sometimes when you right click on a file and click on preview, you might see garbage. Sometimes, there is no preview at all. These files are not recoverable most of the time even when you try to. 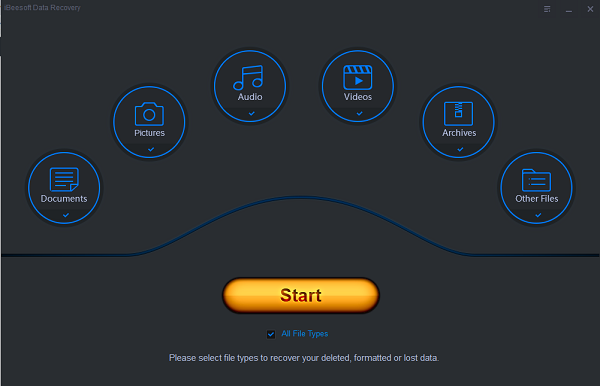 You can also use it recover lost or deleted files from USB drive, SD card, digital device or other storage media. Make sure the drive is not in lock mode. iBeeSoft Data Recovery software can deep scan drives to find files which are usually hard to find. This o is where I found the software works well. It found records which were long gone, but since I never touched that drive, it was able to recover them quickly. In case the file cannot be completely recovered, a small warning is shown. It could be because of two reasons. First, where the scan is still going on, and second when the system partially writes the file. It is best to wait for the scan to complete before you try to recover it. When running the deep scan, it wasn’t heavy on the computer either. I was able to do my work parallelly without any problem. This feature makes it an instant recommend compared to recovery software in the market which makes the system slow. There is one small drawback though. It doesn’t filter out files which are already available on the drive. It creates confusion when trying to recover lost files. If the software can mark the data with red or any other identifier or offers a filter to hide an already existing file, it will be useful. How does it recover the files? There is one thing you should know about data recovery. The files can only be recovered if some other data had not overwritten them. When you delete a file from the computer, it vanishes from the index. The OS just reclaims that space when it has to use that space. The recovery software takes advantage of this method. It finds those files which are still available, and not overwritten. Sometimes the files are partially recoverable, and sometimes they are entirely recoverable. Should you buy it? I would say Yes! The software is efficient, cost-effective, doesn’t take a toll on the computer, and comes in a small package – compared with other tools in the market. It works both on Mac and Windows as promised! You can buy it for $45.95 to use on a single computer, $89.95 for 2-10 PC, and for $299 for an unlimited number of machines. It also comes with 60 days money back guarantee if you are not happy, and lifetime tech support to keep you comfortable as long as you use the product.